This presentation will illustrate how designers of wideband Electronic Warfare (EW) systems can utilize distributed amplifiers or other components with a positive gain slope to simplify their designs while at the same time improving overall performance. The techniques presented will show how using these high performance MMIC devices can dramatically help reduce the size, bill of materials, power consumption and cost of an overall solution versus traditional discrete components with a negative gain slope allowing the system or subsystem designer to maximize the SWAP-C potential of their design. This presentation will also demonstrate how paying closer attention to the component design considerations within the selection process can have a significant impact on not only your final system performance but also the overall complexity and size of implementation. 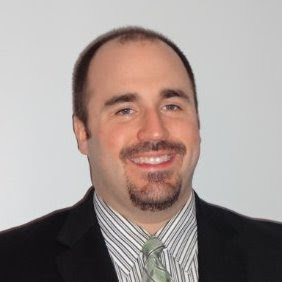 Chris Gregoire currently serves as the Senior Applications Engineer at Custom MMIC, headquartered in Chelmsford MA. Chris has a Bachelor of Science Degree in Electrical Engineering from the University of New Hampshire. For the last 15 years Chris has worked exclusively in the RF and Microwave industry with an emphasis on the practical application of high performance MMICs for advanced Aerospace and Defense systems. Chris has served in a variety of customer facing roles including test, marketing, sales and applications always with goal of assisting customers overcoming their toughest design challenges. Chris is also a husband and proud father of two wonderful young girls who enjoys experiencing new foods and being exposed to diverse cultures as he travels.